Welcome to The Weirdness… Middle-schoolers Arlo and Sierra host a wildly popular podcast dedicated to exploring unexplained phenomena like the Loch Ness Monster, the Yeti and Chupacabra. But secretly Arlo doesn’t believe any of it – until he tracks down an unusual caller who turns out to be none other than Bigfoot himself. 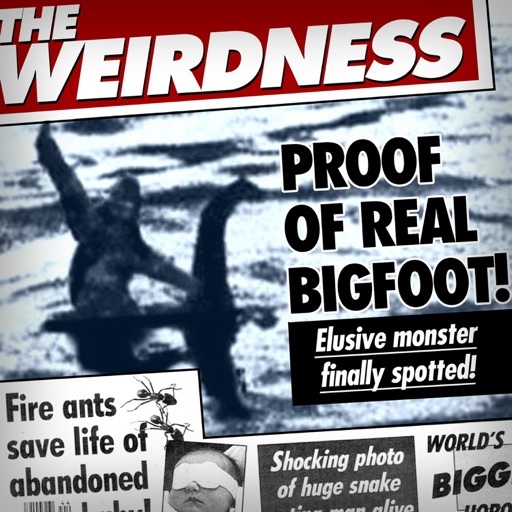 Turns out, the Weirdness is real, and it’s everywhere! Arlo, Sierra and Bigfoot (aka Beef) set off on a mind-blowing adventure across the globe to find out why the creatures of legends are disappearing. The Weirdness is produced by Gen-Z Media in partnership with PRX. For more great Gen-Z shows visit http://bestrobotever.com or follow us on Twitter and Facebook and Instagram. © 2019 OwlTail All rights reserved. OwlTail only owns the podcast episode rankings. Copyright of underlying podcast content is owned by the publisher, not OwlTail. Audio is streamed directly from Gen-Z Media servers. Downloads goes directly to publisher.